Most people are aware of the current controversies surrounding the behavior of certain ostensible members of the chareidi community in Israel. I am not a political columnist, nor an expert on Jewish life in Israel, so I am not going to attempt to discuss most aspects of this topic, which have been ably handled by far more competent figures than I. I do, however, want to discuss one aspect of this issue. What is an Orthodox Jew? What is a "chareidi" Jew? What do these terms really mean? If the term "Orthodox Jew" means anything, it means a Jew who commits to conforming to the laws and values of the Torah, as transmitted through our mesorah (i.e. the Rabbinic tradition), even when, if it were left up to his own opinion, he would choose to do otherwise. 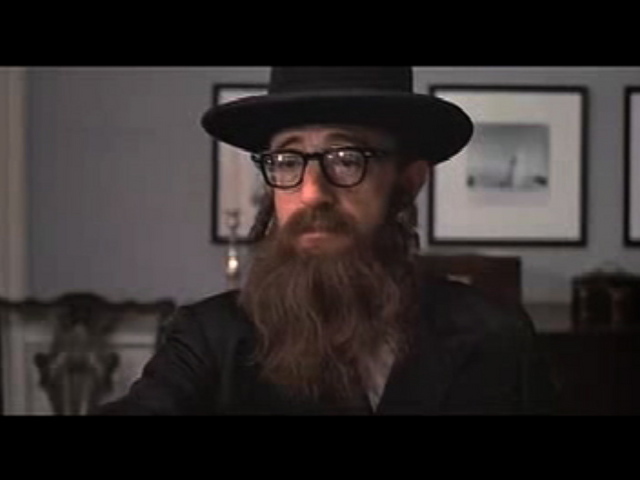 A Jew who follows Jewish tradition, when and if he agrees with it, even if that agreement happens to be almost 100%, is not really an Orthodox Jew. Similarly, any Jew who considers a non-Torah source of values to have equal authority to the Torah, so that, at times, this alternate source of values overrides Torah laws and teachings, is not a genuinely Orthodox Jew. The same is true for the term "chareidi". The origin of this term is from a verse in Isaiah (66:5), "Hear the word of Hashem, you that tremble (החרדים - the chareidim) at His word..." The term has come to refer to those Jewish communities that take the laws and teachings of the Torah to be their sole source of values. While chareidi communities are usually superficially recognizable by their modes of dress (ranging from the "Litvishe" black hat and jacket to the various forms of garb worn by chassidim), it is not clothing that makes one a chareidi. A Jew with a long beard and payos (sidelocks), wearing a long black coat, who derives his values from sources other than the Torah, is not a true chareidi. In the Orthodox Jewish world, we are familiar with critiques of various left-wing groups, including groups that are nominally Orthodox, that attempt to modify Judaism to bring it into conformance with the values and mores of (the liberal elites of) modern Western society. Thus, attempts to change the traditional prayer services to conform to the dictates of feminism, or to create "kashrus" supervising agencies that focus on the importance of labor unions and environmentalism, among other such attempts, are seen as attempts to give religious value to foreign concepts. My father, ע"ה, would often speak disparagingly of what he called "cultural Jews", referring to Jews who drew their values not from the Torah but from Jewish "culture". He would stress that Jews of this sort are to be found not just in the non-Orthodox world (where they are the dominant form) but also in the Orthodox world - including the most chareidi of communities. When a group of Jews not only brings non-Torah values into their "Judaism", but grants these values status equal to or greater than actual Torah values, then that group is not only not truly chareidi, but not even truly Orthodox. They are, fundamentally, a break-off sect (or, more politely, "denomination"), who only share a cultural bond with Judaism. This is true whether the foreign values are rooted in obsession over modes of dress and gender segregation, political ideology, or messianism. It is popular, in certain Orthodox circles, to bemoan the supposed shift in traditional Judaism from a "mimetic tradition", in which religious practice and standards are learned from the previous generation by observation and participation, to a "textual tradition", in which religious practices and norms are learned by studying the Torah literature. In reality, of course, both traditions must exist side-by-side and are deeply dependent upon each other. The bulk of our religious training, in the Orthodox world, has always been mimetic. There is simply no other way to effectively give over the vast array of information needed to function competently as an Orthodox Jew. However, the mimetic tradition, by itself, cannot effectively distinguish between Torah and culture, law and custom, community norm and religious obligation, especially in the face of changing circumstances. The textual tradition serves as an essential "checksum" for the mimetic tradition, a way to check that tradition for its inevitable errors of transmission. What we are seeing with these pseudo-chareidi radicals is a triumph of the mimetic tradition over textual authority. Not only is their behavior in violation of Torah law, but even many of the ideals that they claim to be fighting for are nothing more than their own communal norms, which they have elevated to the status of the Torah. By doing so, these groups have stepped outside the pale of Orthodoxy itself and are no more Orthodox (let alone "ultra-Orthodox" or chareidi) than Woody Allen in a rabbi costume. You make some interesting and thoughtful observations. I hope to remember to check in on your blog on a regular basis.